Graybeard Outdoors > Politics, Religion and the News > Political Issues Discussion > A quarter of Europeans want AI to replace politicians /WTH! 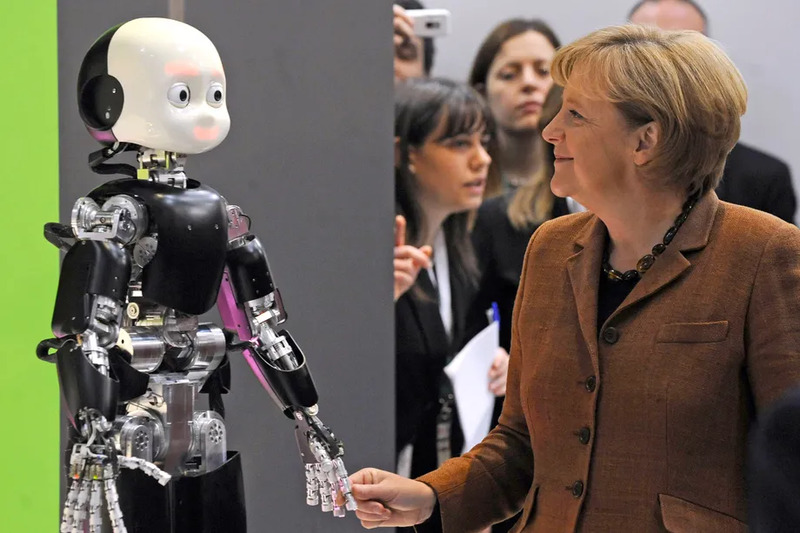 A quarter of Europeans want AI to replace politicians /WTH! talk about taking the deep plunge into the matrix system and letting mr. smith led us now? holy cow whats wrong with people anymore falling into i give up with human leaders lets facebook or ai www./666 the beast rule over us. One in four Europeans want artificial intelligence — not politicians — to be making important decisions about how their country is run. In the UK and Germany, the proportion is even higher: one in three. In the Netherlands, fully 43 percent want AI to decide policy. i didnt think men support ai over women for controling our military? and its more age 55+ catagory wtf? Depends on what the programming is. It might be worse.
" You are a very destructive species even to yourselves. You need us to Sheppard you for your own good". If the choice was between Dummycratics and a robot, I'd take the robot every time. At least the robot would have a brain of some type. that strongly about it then let them continue with what they are doing. While we are at it let's see what can be done with you. Obsolete pile of junk. Last edited by Argent11; 03-28-2019 at 12:20 PM. Science Fiction writers have been making this their bread and butter for years. From Wall-E to Terminator. Our future lies somewhere between those visions of the future. ^^^^like agree. It's time to get away from all the rouge robots and the slimy alien splatter films. Last edited by Argent11; 03-28-2019 at 02:55 PM. 9 Attachment(s) Brain dead, fake news..